In the United States, many loans are in some way government backed or guaranteed. Small businesses receive SBA guaranteed start-up and working capital loans, service members receive VA backed home loans, and teachers receive down-payment assistance through the Teacher Next Door program. The fact is the government is in the lending business. What happens then, when the government shuts down? Taking all politics out of it, what is the effect for the small business owner? SBA loans are a go-to source of franchisee funding, whether for start-up or working capital. The SBA does not provide the money but may insure up to 90% of any loss that a lending institution experiences from an SBA-backed loan. If the Small Business Administration where to no longer offer these programs, we would be having a different conversation. Lenders would find a way to become comfortable in a lending environment that did not provide such guarantees. However, with the assumption that the government will at some point resume normal operations, most loans that would normally be back by the SBA simply are not being processed. Mark Zandi, Chief Economist for Moody’s Analytics, recently stated that the government shut down his already stalled over $2 billion in small business loans. Franchise Beacon is not here to tackle a $2 billion problem. If your franchisee funding is not affected by the government shutdown, this is strictly an academic question. If you have franchisees that were counting on that money for expansion, payroll, or other immediate cash flow needs, it’s an all-encompassing question. If you’re in the former group, the Wall Street Journal did an interesting article about the effect of the shutdown, as did Inc. Magazine. You will likely find these articles very informative and will be better educated about how the SBA lending system works overall. 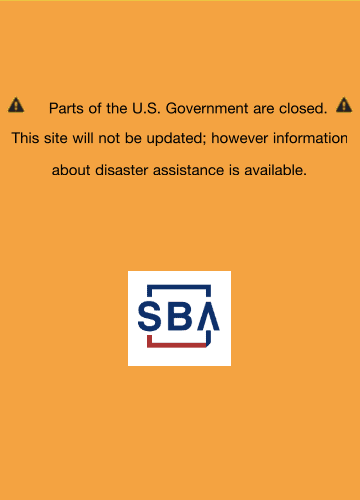 If, however, your system is being affected directly by a lack of available capital, whether due to the government shut down or otherwise, we’re here to help. Our unique franchisee funding program allows you to provide capital to your franchisees through a variety of different financial vehicles. These vehicles do not have government involvement, and your franchisees can use them for growth, emergencies, or any other reason. If you are one of the real companies that are reflected in that $2 billion number, let’s talk! Using the links on the right-hand side of this page, give us a call, send an email, or schedule a consultation.